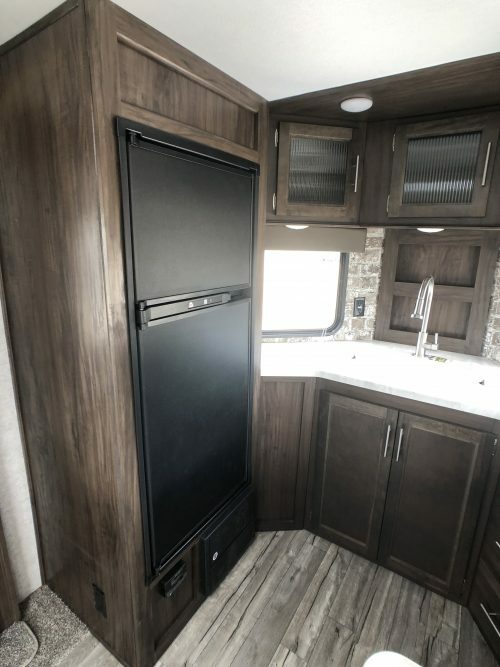 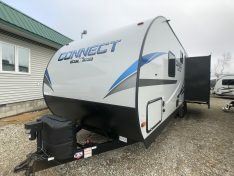 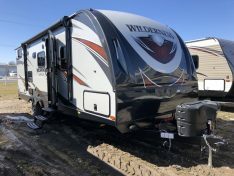 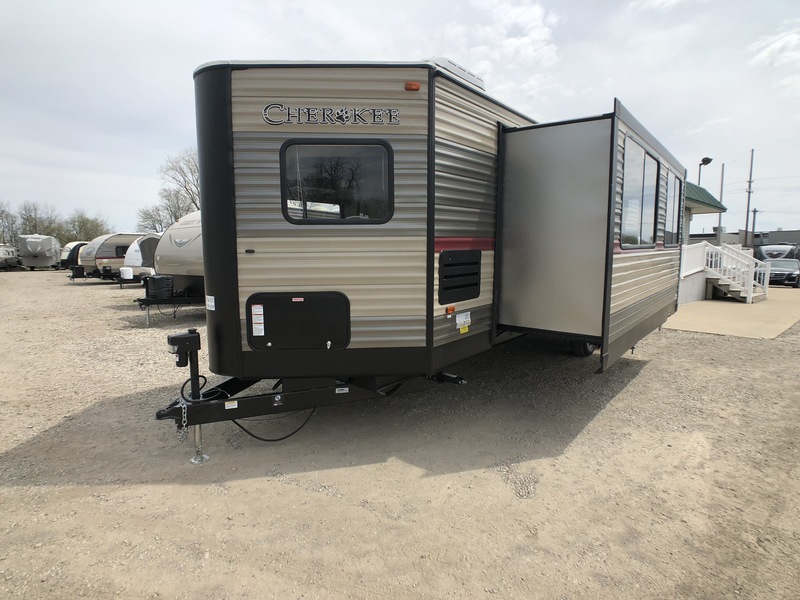 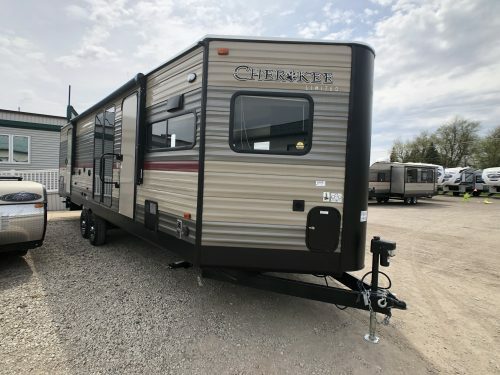 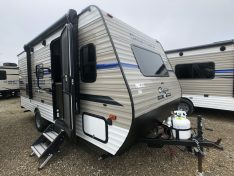 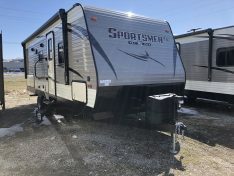 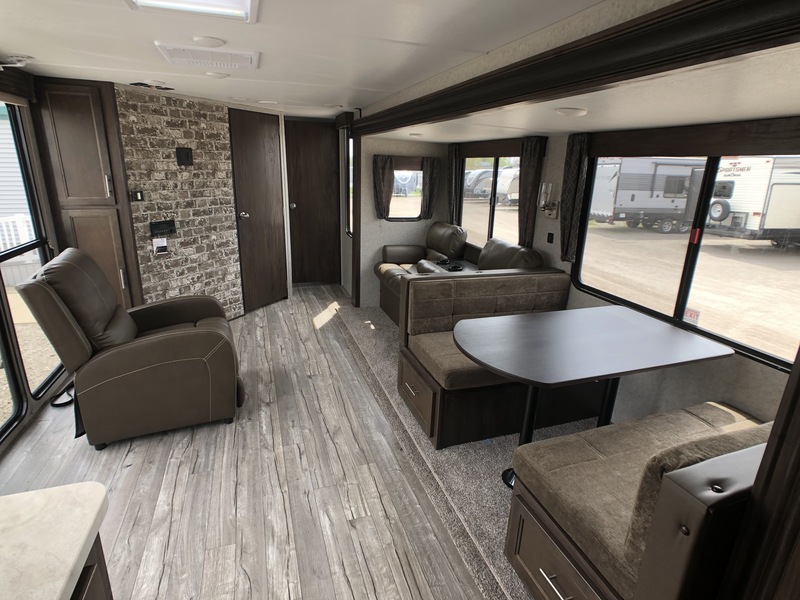 This Forest River Cherokee 274VFK Travel trailer offers a spacious V nose front kitchen with plenty of prep space, 3 burner range top, Oven and microwave, RV refer and a deep single basin sink. 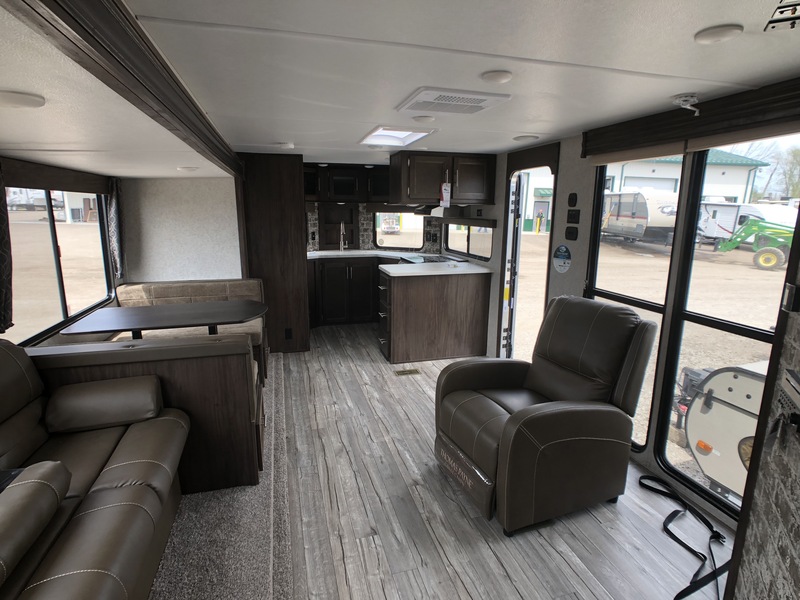 Looking back you will see a very roomy living area with dinette sleeper and also a sofa sleeper in the super slide, even a reclining chair in front of two large panorama windows. 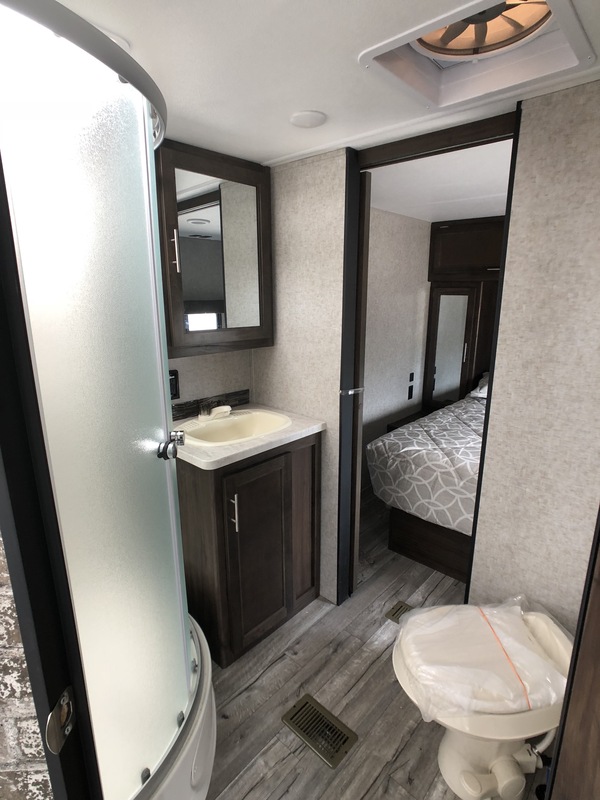 The Bathroom offers a neo-angle walk-in glass shower sink and toilet. 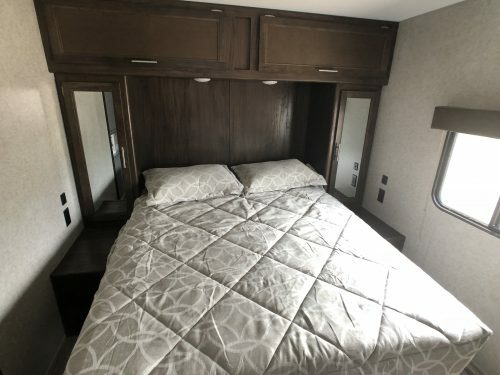 The back of the RV features a large bedroom with a queen walk around bed with storage on each side of the bed and storage underneath. 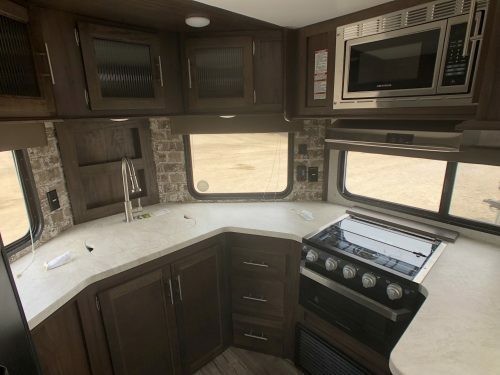 Outside there is a Power awning and an entertainment center where you can mount a TV.